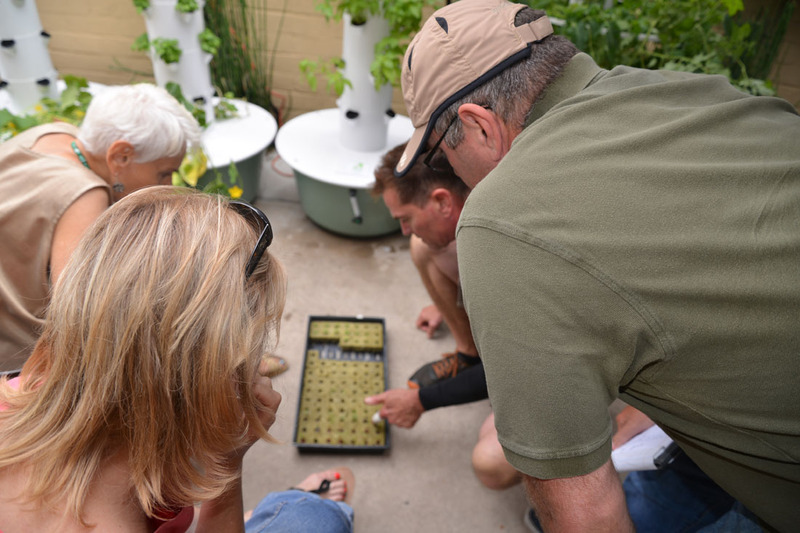 Come and enjoy learning about vertical aeroponic growing, Tower Garden assembly, seedling propagation, pest control, harvesting, and many helpful tips for a successful garden for you and the entire family! Fresh, light salad will be served after event. Fee is $25.00 per person; Representatives may bring up to 3 additional guests for free. If you order the Tower Garden® prior to attending the Social, the Social is free and you can bring up to three guest for free! Come and bring your friends to see how easy it is to grow vertical and aeroponic—even if you don’t think you have a green thumb! CELEBRATE PRODUCE and COME to our SALAD-IN-A-JAR PARTY!!! Hang out with great people, make healthy salads, do your body good, & learn simple tools & solutions for better health! 4. A SMILE on your face! We would like to have a conversation with you about the Tower Garden® before you order to discuss specials and answer questions! If you order the Tower Garden® prior to attending a Social, the Social is free and you can bring up to three guest for free! Order Tower Garden® for you and your family here!